You face the choice between "good" and "evil" at every step of your life. Often, that choice calls forth deep conflict and agony. What is "good"? What is "evil"
What values within yourself can you rely upon in choosing your particular way of life? How do you set Your personal goals? How do you apply the higher values of life to particular life situations? How does moral steadfastness relate to Self-realization? The Choice Is Your brings fresh, insightful answers to these age-old questions., you stand between two worlds, say the authors in this publication; the past, a dying world and the future, struggling to be born. What form will the new world take? The choice is yours, the great masters of the past and the present maintain. No question more urgent arises in the human mind and cleaves the heart so deeply as the question of what is right and what is wrong. Choices to do or not to do are thrown upon us at every step of our lives, sometimes opening deep conflicts within ourselves, and none of us can rest peacefully until we discover a way of resolving them. The moral conscience of a society and its individuals is determined by the prevailing religion or philosophy. What we formulate as the ultimate purpose of existence determines the foundation upon which we build our definitions of good and bad. Good and bad, right and wrong are defined in relation to an end goal, to our concept of the highest possible aspiration. Actions that hasten us to our goal are considered noble and good, while actions that deter us are considered sinful. Thus, of tantamount importance to the issue of ethics is the determination of our personal goal in life. According to Vedanta, this is the primary question, after answering which the questions of right and wrong resolve themselves into the larger vision. 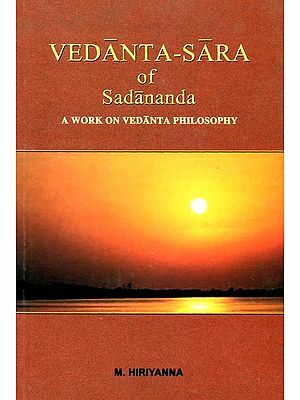 Vedanta is often accused of taking a neutral stand relative to eithics, of avoiding moral dilemmas by dismissing them as residues of a merely apparent and therefore irrelevant creation. This is an unjust accusation. The mental purity and astuteness needed to transcend identification with the creation is possible only to one who has attained a state of perfect harmony with all the laws of nature. Moral laws are perhaps the single most important set of laws with which to achieve harmony, for disharmony disturbs the conscience, setting of sometimes violent reactions in the mind of the seeker. Throughout the Upanisads we find declarations that Self-knowledge is denied to one who has not first turned away from wickedness, who is not tranquil and subdued, and whose mind is not at peace. 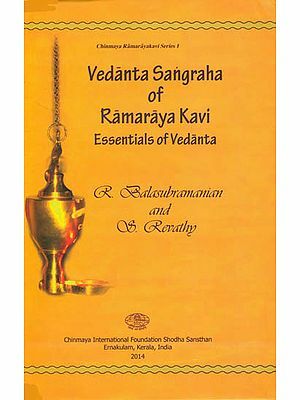 Vedanta is the culmination of Hinduism, and Hinduism, it must be remembered, was originally known as Sanatana Dharma, which means "The Eternal Law." The law of Dharma is a moral law, obeying which one achieves righteousness and glory. 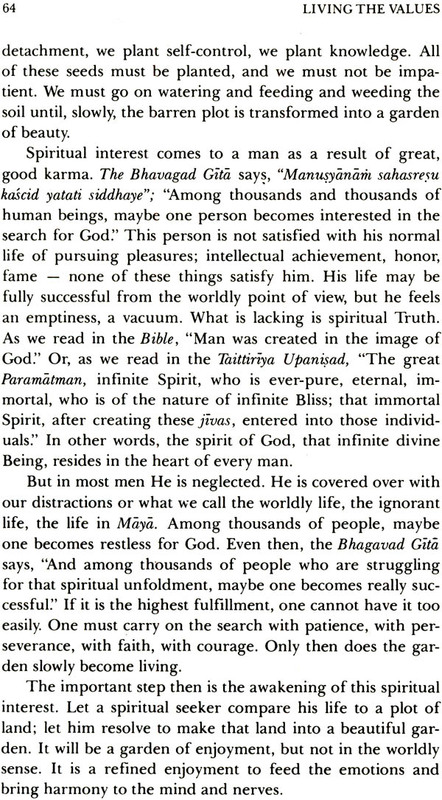 So important is moral steadfastness to Self-realization, that the Upanisads were not even taught to those who had not yet mastered their lower impulses. In the ensuing selections on ethics, Part One asks the question "From where does evil arise?" Part Two points out how we can free ourselves from evil impulses. Part three describes some of the noble virtues we can strive to instill in ourselves. 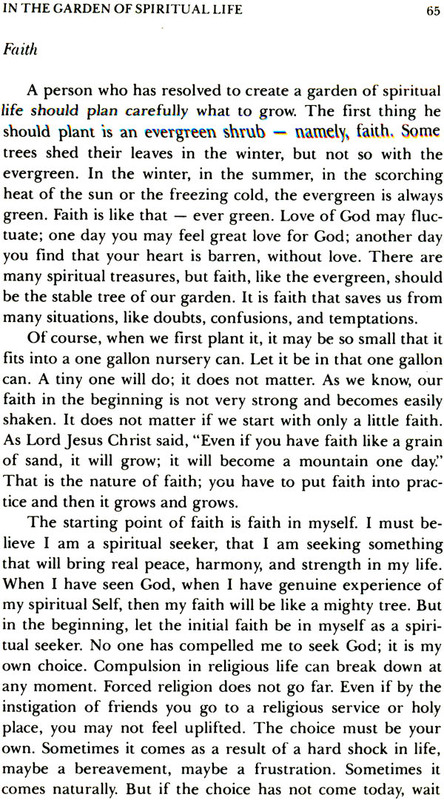 Part four suggests ways to apply the higher values in our lives. 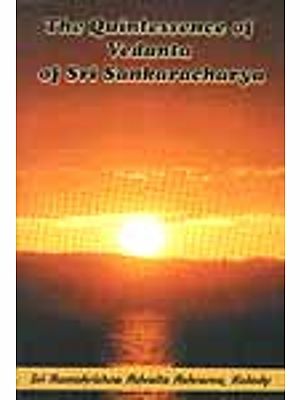 Part Five contains analyses of the main tenets found in Hindu ethics and in Sankara's writings. Mankind stands between two worlds - one dying- and the other struggling to be born. What form will the new world take? We alone can choose. We are the makers of our own world. and if today the world is an ugly place. it is because we ourselves are ugly. If we cleanse our hearts. we will find that the brilliance in the world is out a reflection of the bril- liance within. This self-cleansing becomes difficult for the averag-e per- son because it is a subjective process. wherein each has to cleanse himself. Moral living , ethical standards. religious virtues. and cultural values are often discussed. but of the many people who talk about them. very few come to live them. Unless we decide to bring- these known virtues into our own life. the world cannot be improved. Only by read- justing the inner personality can each one of us bring out a greater dynamism. cheer. and fuller love in all our contacts in society. Without this unfoldment of our inner beauty, the quality of life cannot be improved. Secular and material organiza- tions are necessary; the politicians. the economists. and the scientists have a great responsibility to improve the social welfare. organization of production, distribution. and administration of justice and thus to improve the conditions of life in society. But the happiness of the community can be assured only when we have a healthy community. A commu- nity is healthy only when the members are healthy. If man has the positive virtues of the heart and the creative values of the intellect, his responses to the environment will be healthy, and he will gain a balance and a joy in life. Individual perfection is the means for the total perfec- tion. For this, man must regenerate himself. He must have an ideology in life by which he can individually and collec- tively grow to be a healthy individual, All religions are built upon such rejuvenating ideologies. They supply the higher eternal values of life to their followers and nourish them with their various techniques until each individual absorbs them into himself. The values that religions provide are based on eternal truths of life, and therefore are the permanent values of the changing world. The world may change, but the eternal val- ues will always remain the same. They were good for our ancestors, they were equally good for the people in the Mid- dle Ages, and they were again found good for the com- munities of the last century. Surely they are good for the present century also. They are ever one and the same at all times. These fundamental values, when practiced, are capable of making man healthier to face the world outside, even if rid- dled with endless tragedies. If the world around him were already happy, then these values would help him enjoy the happiness intelligently. These are certain fundamental rules that govern the inner health of man, and these are called by all scriptures as "fundamental values." The values seem to be different, at least in emphasis, in different religions. and a student who studies various reli- gions may find that one religion emphasizes one set of ideas and another religion, a different set of ideals. Buddhism as- serts one maxim, Hinduism another, Islam and Christianity yet another. But if one closely examines the maxims, one dis- covers that the fundamental principle is one and the same, though the language and the emphasis are different. Just as two doctors would prescribe to the same patient on separate occasions two seemingly different prescriptions for the same disease, those who understand the science of medicine would know that the prescriptions are the same, only in name are they apparently different. Similarly, the ethical and moral values that religions pre- scribe are all rules of conduct by which we can develop our personality, integrity and inward health, with which we may enjoy the world more and develop the strength and courage to meet our problems in life, It is true, no doubt, that those who live all these great values of life will be a mere few in a society, but those few will soon grow up to such a stature in themselves that they will be leading the world wit h an ir- resistible secret spiritual power of their own, It is always such individuals of heroic inner personality who have been guiding the generations and initiating new civilizations in the world. The great religious masters, using their own ingenious efforts, have time and again revived the philosophical and religious values and thereby arrested the deterioration of culture. When culture deteriorates, there is an increase in barbarity and immorality in the country and its philosophy is misinterpreted, leading to confusion and chaos among its people. This is more or less the sad condition of the present world. The need of the hour is to arrest forthwith the dete- rioration by reviving the great philosophical and religious values of life.